SOLV (Stop Oregon Litter and Vandalism). The very first beach cleanup in the nation was held in Oregon in 1984. Since then, beach cleanups have spread to all of the US States and Territories, and to countries around the world. (Oregon is like that. We had the first bottle bill, too.) Visitors often comment on how clean our beaches are. There are two beach cleanups every year: spring and fall. 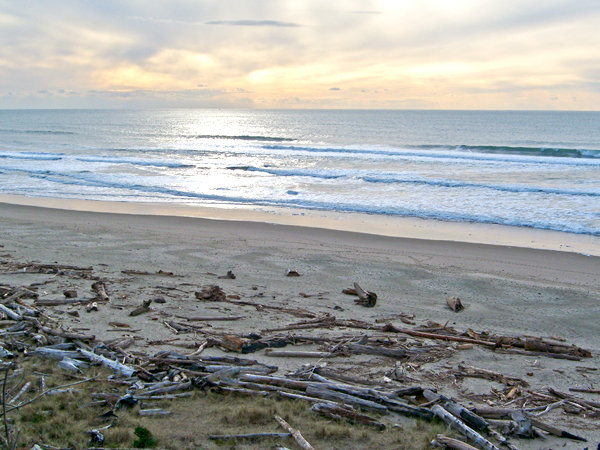 Last spring, the 362 miles of Oregon beaches were cleaned of some 111,000 lbs of trash. That’s a lot of garbage, gentle reader. There’s usually more in the spring because the winter storms bring icky stuff to the shore. This Saturday’s cleanup starts at 10:00 AM and goes to 1:00 PM. The SOLV site has a list of the 44 different locations you can report to, spread from the Washington border all the way down to California. It’s a great family or group outing. SOV asks you to give the Zone Captain a heads-up if you are bringing a large group. Otherwise, just show up at one of the check-in points to receive a collection bag and instructions. The out-of-the-way location typically have fewer volunteers than the ones in town, so consider going to one of the lonelier spots if you can. Dress warmly in layers with a waterproof outer layer because the forecast says rain, wind, cold, March. And be sure to wear gloves! And have fun! Despite checking daily for updates on your blog, I am always disappointed when there isn’t one. The one thing I thought you should know though is that your blog takes a loooong time to load. I don’t have this issue with the other blogs I read, although occasionally it happens. Since you are a “techie type”, thought I would pass on the info. Great directions for your Magic Cast on for small circles. Very clearly written and great photos. I’ve had problems when trying to do this in the past, but thought I’d give yours a try. Very cool. Now I’m off to sit outside on the first great weekend since last summer make a square for the Barn raising quilt.